When I came home last night, I had decided to refrain from turning on my computer and just check my phone before going to bed. However, when I did so, I found that Elin over at Dancing on Our Own had sent a link to this tumblr post, asking Lars and me if we knew anything more about the photo. Yes. 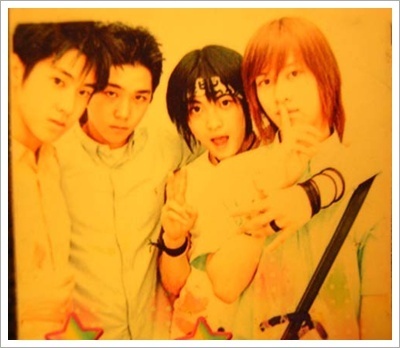 That is Kim Heechul of Super Junior, a band under SM Entertainment, and Kim “Hero” Jaejoong of JYJ, currently in conflict with said company. Naturally, I had to turn on the computer to go online and do some investigation work, and before long, I found this post saying it’s real and recent, taken sometime during the last year. I almost started crying. I think what these kinds of acts and pictures do to me is that they give me hope that the idols actually are more than what they are made into, and that they can to a certain extent escape the hands of their companies. 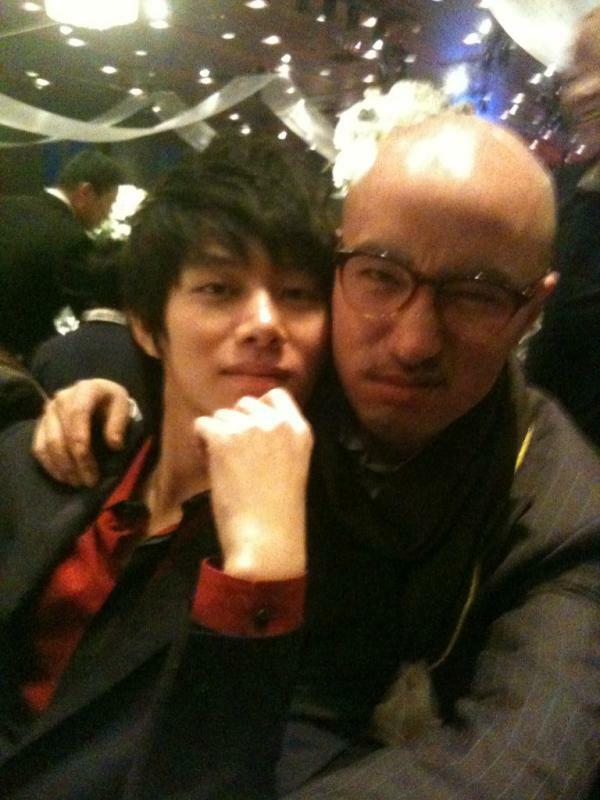 And if someone is to go against his company, it’s Kim Heechul. I wonder if I’ll ever get wtf is going on in the Idol World. I don’t think so. But maybe some day it will become at least a little clearer to us at least what happened just now. 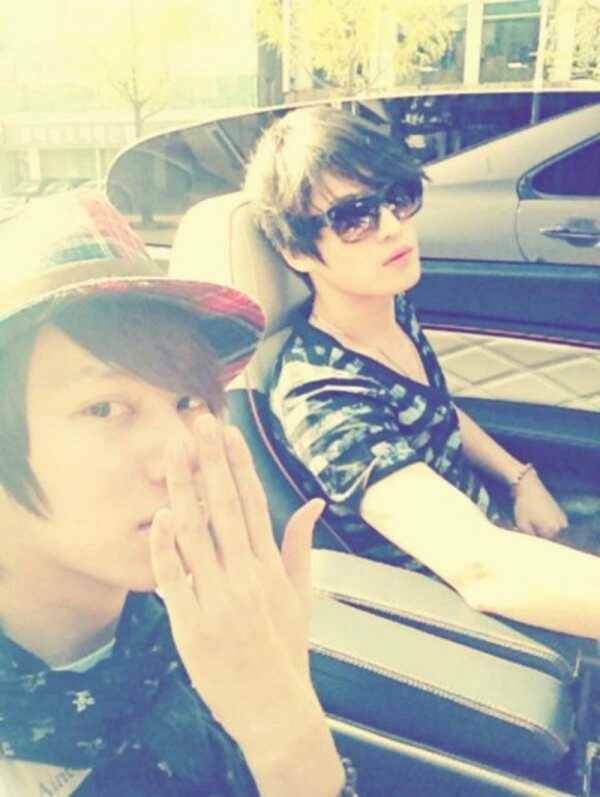 Until then: Heechul and Jaejoong, stay strong! Yesterday, I was trying to explain fabrication and the concept of idols to a couple of friends. But some of this is impossible to try to explain to someone just like that, after dinner with come cognac and pear cake, and one of those things is Kim Heechul, his concept, his role, his person and exactly why I find him so intriguing. So I didn’t. But on my way home, I thought a lot about him: how important a part he has played in my growing interest in kpop, how I just get more confused the more I try to understand what the hell he’s actually up to, and exactly how unique his role is in kpopverse. The eternal exception to so many rules, he had a whole talking round on Strong Heart dedicated to the subject ”Because it is (/I am) Kim Heechul, it is okay”, meaning he can get away with stuff other people can’t simply because of who he are. I guess it is a persona with a great load of freedom, and pressure, to act controversially, sometimes to the point where it’s actually rather obnoxious. And some things are still taboo, of course. No matter. I was heartbroken and relieved at the same time when he went to do his desk job military service, and at the same time that I’ve hoped the time away does him good, I’ve missed seeing him in action (and should go on a Heechul variety binge soon again sometime). But I also felt a small pang of idiotic guilt at how, during this time, my attention has steered towards other kpop people in his stead. And then, as though an answer to my thoughts, twitter provides me with this. So. Heening letting Hong Seok-cheon, pretty much South Koreas only openly gay man, tweet a picture of the two of them all cozy together at a wedding? I’m not sure exactly what his reasons are, but I most certainly apporove of this displayal of comfortableness. Every little step, etc. 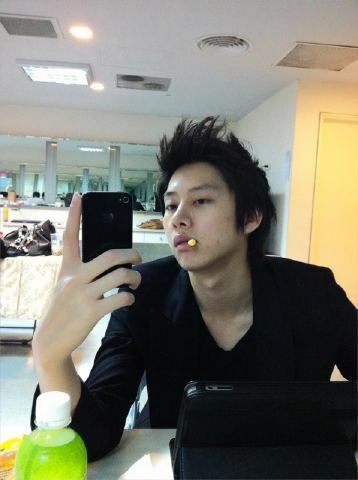 Also: How awesomely good-looking Heechul himself is in that picture. What can I say? 우유빛깔 김희철! 사랑해요 김희철! It wasn’t unexpected. I’d been waiting for it. 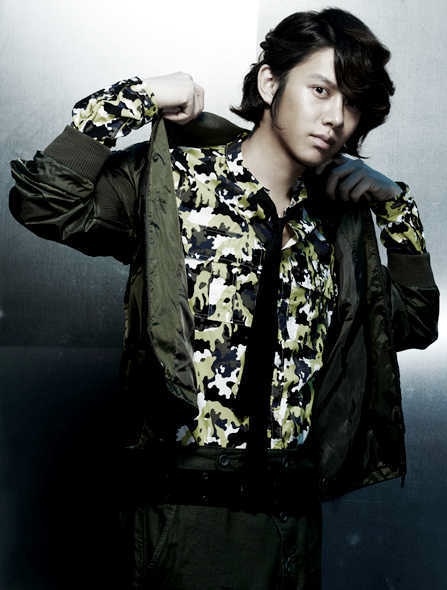 I knew that this was the year that Kim Heechul of Super Junior would go into the army. What I wasn’t prepared for was how hard it would hit me. I usually sort of side-eye fangirls who cry when their idols go into the army, but now I finally get it. Right now, kind of complicated things have been going on in my life. I’m not going to get into exactly what’s happening, but I’ve had better reasons to cry than this: some guy who doesn’t know me doing some army-related office work/public servant thingy, instead of tweeting (this was before I realized that he might be able to continue tweeting, would he want to – but I wouldn’t be surprised if he decided not to, either), being on radio shows I need subtitles for and performing at concerts I can’t go to. Still, this was the first time in a very long time I couldn’t finish a meal and took the first opportunity I got to go home and get into bed to lie around under the covers and weep like a child. But why do I react so strongly? Of course, I wouldn’t care so much about k-pop matters if it didn’t actually make sense to me. My interest is genuine, and my attachment to certain people in the industry isn’t something that just happens at random, especially not in the case of Kim Heechul, who is indeed a unique personality who I admire for many reasons and care about from afar. As previously mentioned, to me personally he also holds a special position for being one of the main reasons I fell so deeply in love (or just into) k-pop fandom. But I also suspect that my emotional attachment as a fan of certain things serves another purpose – one as a channel for emotions in general. I don’t think most people around me consider me a very emotional person, and I’m definitely not a drama queen. Still, this enlistment brought me completely out of the balance even I myself have been surprised at me having managed to keep. These two reasons, I managed to figure out for myself. That’s right. And in a way, I probably will. 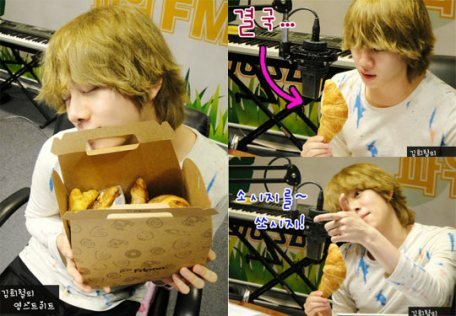 But Heenim is irreplaceable – who will stir things up like he does? Who will question things as he does? Who will be the constant mindfuck that he is? Even if he told us not to, I will wait for him, no matter what kind of person he will be when he’s done being a public servant. Because even if he won’t have to shave his hair and do two years of actual military training (in a way I’m actually selfishly thankful for the accident that shattered one of his legs to pieces) spending time off from the entertainment industry usually changes people, and Heechul is not known for being consistant. As for the reasons exactly why he’s so important for me, that’s something that I’ve been trying to figure out from the start. I’ll probably have to make another post, or a thousand, about that. Until then, I leave you with one of my very favourite fancams of Heechul (and terribly underrated SJ-M member Zhou Mi! ), complete with really cheesy music and all. Today, the news of Super Junior Kim Heechuls enlistment in the army on September 1st reached us. Since he is one of the main reasons we fell for Kpop, since he makes it possible for us to stand the worst crap and darkness in the entertainment business, since he is the strangest, and most unbelievably wonderful person there is, we will miss him in a way that is not possible to explain at this moment. We will surely give it a try though over these up coming days. we love you Kim Heechul, the space you leave behind will be empty and dark. Lots of the idols I like are people I don’t think I would be friends with if I met them. One of the reasons is that I usually don’t like hanging out with, well, attention whores, which automatically rules out pretty much every idol that’s ever lived, anywhere, anytime, ever. Another reason is that though I of course know that everybody are complicated unique snowflakes etc etc etc, lots of idols actually seem too normal, like they probably wouldn’t be as interesting hanging out with as they are to watch from afar. But there are some exceptions. One of them is someone I believe to be as interesting and probably also as tiring to be around as one can get, and who never fails to fascinate me. If I met him, would I like him? Would I be annoyed? Or would I feel the same mix of joy and fear as I do when I stalk him online? Oh yes, of course I mean Kim Heechul. THIS PERSON, REALLY. I can’t stop loving what he does, the way he acts, as well as feeling kind of guilty about it. I have lots of friends who will party harder, laugh louder, dance sexier and make fiercer jokes the worse they feel, and Kim Heechul reminds me of them. But recently, I have started to wonder if he’s finally getting too fed up to act. His last couple of tweets is some of the most heartbreaking things I’ve ever read, and with him suddenly unfollowing even close friends like Lee Hong Ki and not updating his Twitter for more than a week, I’m actually worried. And when he then suddenly tweets about morning dances, I am less then convinced that that’s what’s on his mind. I might be reading too much into this – it’s not like we’re talking about someone who normally acts like a peaceful monk – but I suspect that something has broken the camel’s back. And I feel the helplessness of being a fan. When I need to, I can pretend that Heechul is my friend and even imagine him telling me to act up and be angry, angsty and way over the top when I need it. But I can’t return the favor. It’s not like he will ever be comforted by mental pictures of me telling him that it’s all going to be alright, no matter how much I’d like to. You are currently browsing the Kim HeeChul my friend category at The Future is Idol.